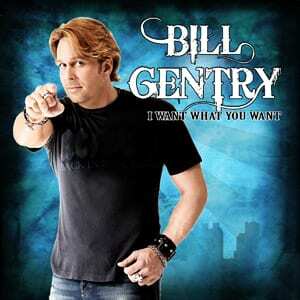 Already an underground star across the Southeast with his electrifying stage show, Bill Gentry is now releasing his long-awaited debut single “I Want What You Want” to radio. A revved up and rocking celebration of traditional country values, “I Want What You Want” is the first glimpse of Countrified, Gentry’s upcoming album produced by Garth Fundis (Sugarland, Keith Whitley, Trisha Yearwood, Alabama, Don Williams). The dream of being a country singer is rooted in Gentry’s past. He grew up on a cattle farm in Carrollton, Georgia, not far from Alan Jackson’s hometown. After starting his band, he built a devoted following audience the old-fashioned way by honing his live show. Over the last decade, he has performed for more than a million fans. Bill plans a heavy schedule of concerts across the country over the next year, so check his website for his itinerary and news updates.